Total Amount Loaned: $801,475 (as of 11/29/2011). Pretty awesome. 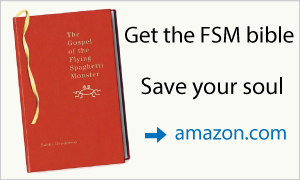 I’ll just mention that Team FSM is above the Mormons by a hefty $80k, or about 4000 sets of magic underwear. Not that it’s a competition. 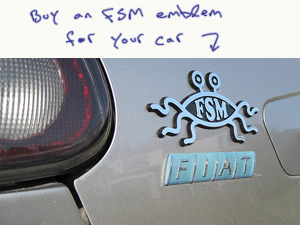 Please join Team FSM on Kiva if you haven’t already. It’s a good cause and our team messages are highly entertaining. 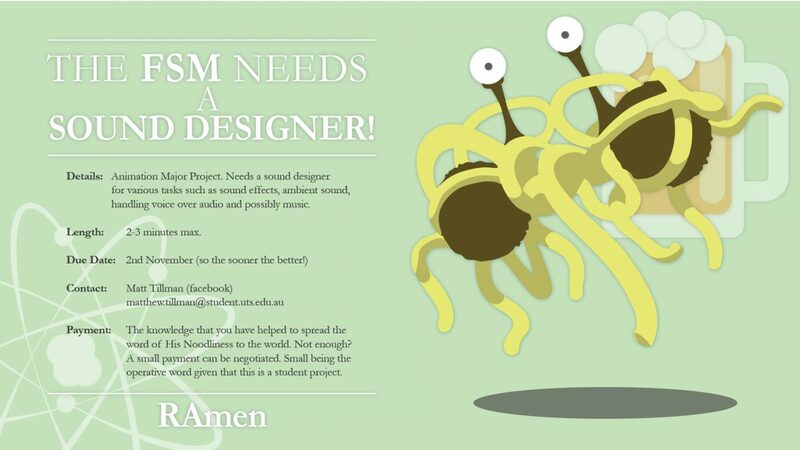 Our friend Matt Tillman has finished his major design project, an introduction to the Church of the FSM. 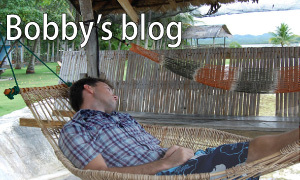 You may remember a few weeks ago when we asked if there was a sound designer willing to help. Well, you guys came through with flying colors. Enormous thanks to one of our own ordained ministers, the Reverend Dajaun Martineau, for supplying the music and sound effects. Amazing work. I predict a bright future Matt. I hope that both he and Dajaun are flooded with lucrative work opportunities for their good work. Another pasta Bible, what is this blasphemy? 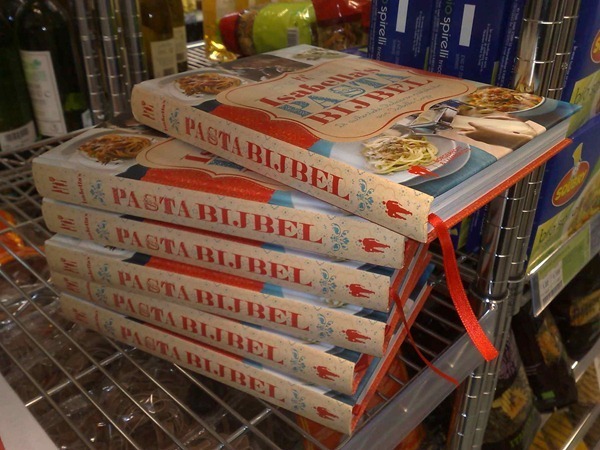 When shopping in an organic food store in Leuven, Belgium, I spotted these Pasta Bibles next to Noodle based foods. I was a bit fearful to read it, as I do not wish to be exposed possible fake literature contradicting the our Gospel. After a quick review, I realized it was a picture book of His Noodlyness in many different manifestations. Comes with descriptions in Dutch language on how exactly He was boiled for our sins. 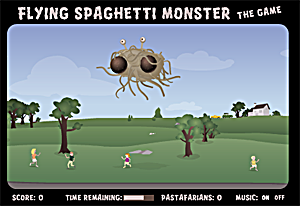 Obviously touched by His Noodly Appendage, my wife Nadine was somehow able to summon the Flying Spaghetti Monster. I never knew it was so cuddly! The meatballs are crocheted, the eyes are made of Fimo. 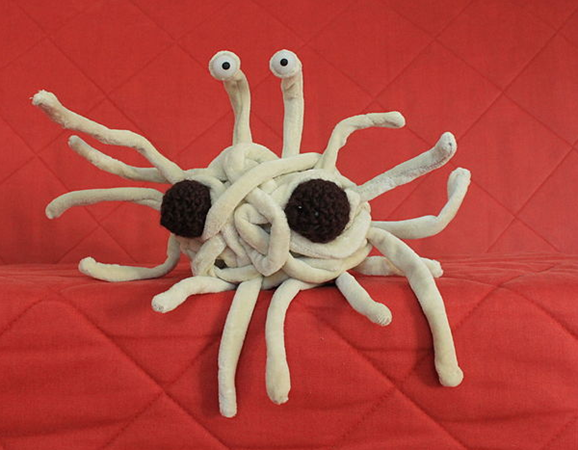 The noodly appendages are made of plush, some with pliable wire inside. 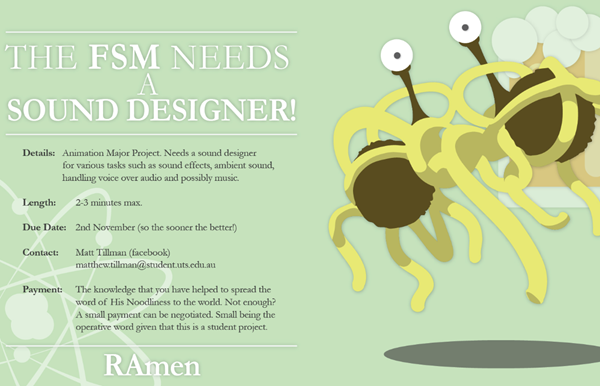 Nadine used HistoryWeaver’s knitted FSM (http://www.historyweaver.org/2008/06/flying-spaghetti-monster.html) as a reference. The Telegraph has an article about my all-time favorite Naturalist, Sir David Attenborough, and the campaign he’s joined to combat religion in science. The naturalist joined three Nobel laureates, the atheist Richard Dawkins and other leading scientists in calling on the government to tackle the "threat" of creationism. Andrew Copson, chief executive of the BHA, said: "Evolution is probably the most important idea underlying biological science and we support the view of many experts that it should be introduced right from primary level in all state-maintained schools. "At the same time, the threat of creationism and ‘intelligent design’ being taught as science is real and ongoing, particularly as more and more schools are opened up to be run by religious fundamentalists. "It has never been more urgent for concrete steps to be taken to ensure that all state schools teach evolution, and not creationism, and we urge the Government to implement the simple and sensible measures suggested in this new statement." I love that Sir David Attenborough has gotten involved. I worry when the ones who make a stand come off as petty and one-dimensional. David Attenborough is such a likeable guy, and his work so accessible … I think a whole lot of people are all the sudden going to want to listen. 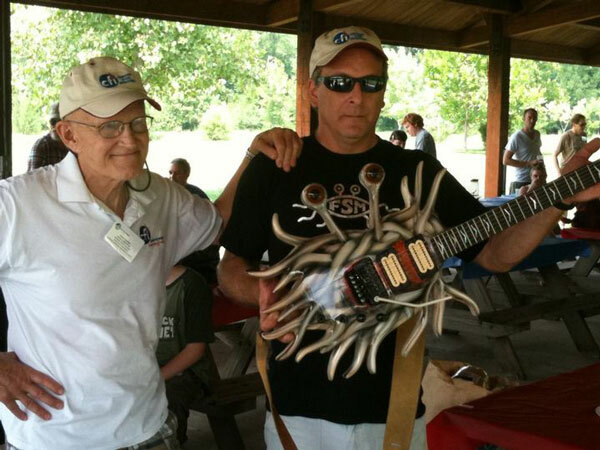 Please see the attached picture of the FSM guitar I built. It debuted at the Center For Inquiry Indiana annual picnic. I have wanted to build this for three years and finally got it done. The guitar is a very playable instrument (but only while standing up). My friend, retired medical illustrator Craig Gosling (photo left) did the sketch for the body shape. I constructed the guitar and Eric Ward did the paint. 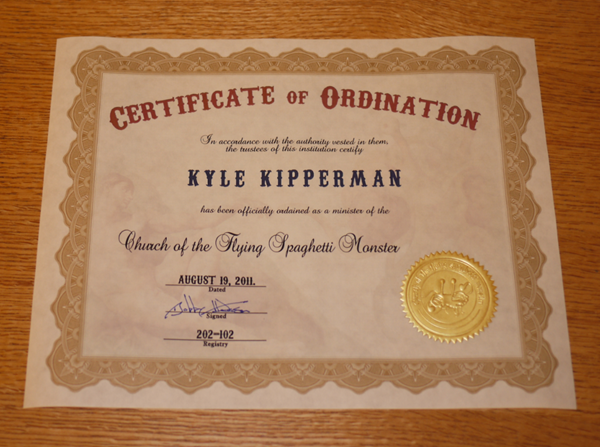 The paper Certificates of ordination are ready. If you’d like one, you can order one here. Updated — The cost is $20 shipped to the US and $30 shipped international. Note — the certificates have been updated to use a nicer lithograph paper. The price is now $25, for both Domestic and International orders, shipping included. We also now have ID Cards. 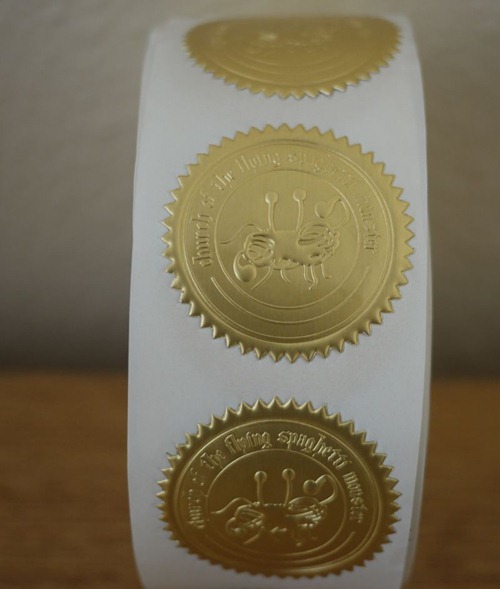 People have been asking for Certificates of Ordination for a while and I’ve said we could only do it if we got some real embossed foil seals, like the ones universities have made for their diplomas. 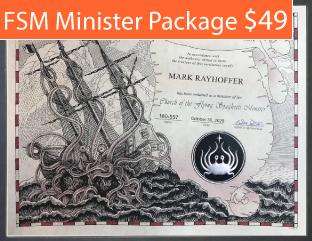 Note — Certificates of Ordination are now available here for $25 including shipping anywhere in the world. 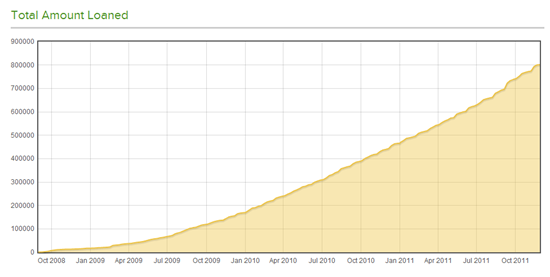 The Australian census is here and now is the time to mark Pastafarian as your stated religion, if you like. I won’t make a long argument and I won’t say that you should absolutely do this. But I do believe it’s a reasonable and legitimate choice. If there are things in the Pastafarian religion that you identify with, and if you would like to see the Pastafarian religion gain formal legitimacy, then please designate Pastafarian as your religion. I see some discussion in the comments, and I got some emails, pleading don’t throw away your votes because they won’t be counted. It’s a reasonable point – marking No Religion will be officially counted, while writing in Pastafarian will not be. But I would ask, what is the actual purpose here? Will policy follow from these results? If you believe that, you might want to mark No Religion. If, like me, you are more cynical and believe policy comes first and the data is used as a justification (and only when it supports the policy decision), you might feel more free to mark Pastafarian, if you’re inclined.